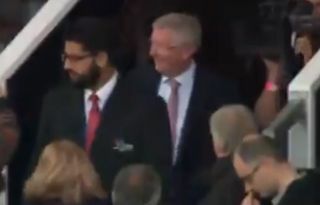 People are absolutely sharing the f*ck out of this Sir Alex Ferguson video as he returns to Old Trafford to watch Manchester United for the first time since emergency brain surgery. The legendary Scot was given a hero’s welcome back by United fans, who were all on their feet to give their old manager rapturous applause and a roaring cheer. This is a truly special moment to witness, with Ferguson almost unquestionably the most important figure in the Red Devils’ history, and perhaps the greatest manager of all time, certainly in this country. Whoever you support, it’s impossible to watch this clip below and not be incredibly be moved and delighted to see him back! Up for just 15 minutes at the time of writing, this video has already been retweeted over 3000 times and liked 6000 times.